Long Savannah, located in the West Ashley area of Charleston, SC, is formed by several parcels of land totaling approximately 3,300 acres, including a proposed 1,628 acre County Park and a 203 acre City Park. 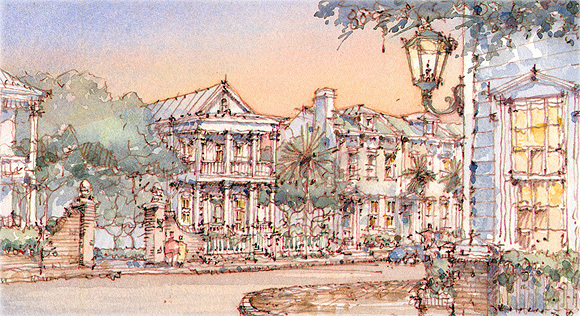 Long Savannah strives to build on the planning lessons of the Charleston peninsula while incorporating a 21st century respect for the land and environment. 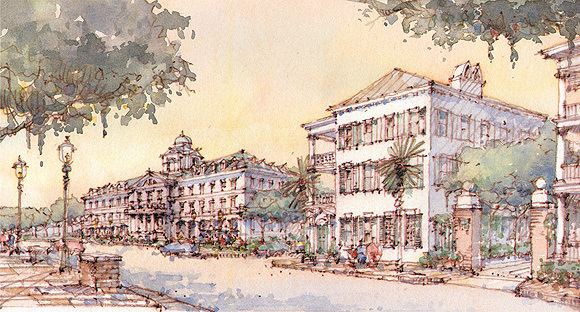 The project is envisioned as a new community consisting of a series of compact, pedestrian-oriented, and mixed-use neighborhoods that follow a set of rules based on Traditional Neighborhood Design. Creating whole neighborhoods and towns, rather than pockets of suburban development, is a vital step towards creating a sustainable development footprint. The development concept also involves the movement of the Urban Growth Boundary (UGB) to help solidify the greenbelt for the Charleston County region in the West Ashley area. 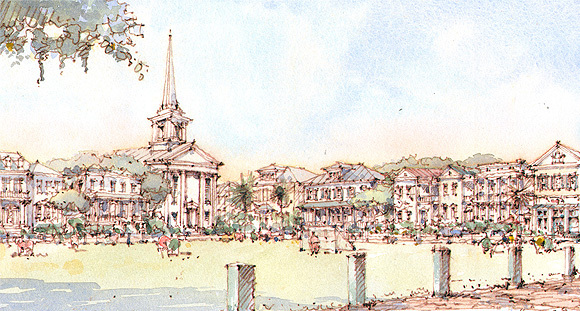 The revised UGB is located along the edge of the proposed 1,800 acre regional park and will forever provide a finite edge to Charleston’s urbanized area. Hall Planning & Engineering, Seamon, Whiteside & Associates, Chael, Cooper & Associates, Moser Design Group, Sottile & Sottile, Gibbs Planning Group, Newkirk Environmental, and New Urban Water Works assisted in the creation of this plan.